Role: Senior Lecturer & Assistant Director Of The Manchester Centre For Mesoscience & Nanotechnology. I joined the Electrical Engineering Department at VUM in 1981 and started work on thin film bias magnets for MR sensors with Prof. G.R. “Pete” Hoffman where we produced the first AMR sensors biased with sputtered magnetic thin films. 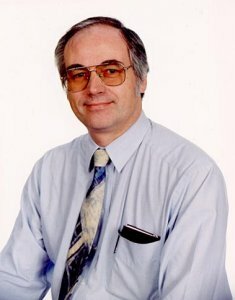 I have been working on nanostructured thin films for magnetic sensors and their applications since then and am now a senior lecturer in the Department of Computer Science and a Director of the Center for Mesoscience and Nanotechnology in the EPS Faculty at the University of Manchester. My current research interests are in low noise magnetic sensing devices, graphene spintronic devices and patterned data storage media. I have published over 100 articles and papers on thin magnetic films, magnetic sensors and related topics.